WHY AREN’T YOU WEARING YOUR HEARING AIDS? Sorry for shouting; I know that’s not helpful, actually. I’m wearing mine, but then I can’t hear a thing without them, and if you can then it’s all more complicated. So far from straightforward, in fact, that up to 40% of adults with acquired hearing loss who are issued with hearing aids fail to use them, or don’t use them to best effect. Important? You bet. Adult acquired hearing loss is common, long-term, increases with age and is mostly not something that can be helped by medicines or surgery. It’s potentially isolating and disabling; in fact the World Health Organization lists it as the second leading cause of ‘years lived with a disability’. So what helps people to wear their aids and get the best use out of them? The Cochrane Ear, Nose and Throat Disorders Group has just published a review which pulls together the best available evidence on interventions which aim to improve hearing aid use. Before I looked at what the research said, I asked people on Twitter to tell me reasons why they don’t wear theirs and they came up with this selection. At least we got the correct version too! There’s also the possibility that we rather enjoy an alternative reality from time to time. Take captioning, often bizarre (and more often missing, which has nothing going for it at all). Yes, I know it’s frustrating but sometimes vastly more entertaining than what’s actually being said. Things haven’t improved since the announcement of a ‘moment’s violence’ at the Queen Mother’s funeral. 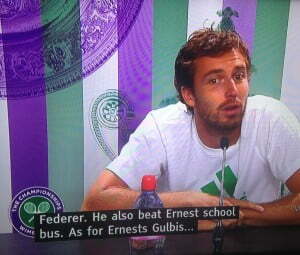 My one evening watching ‘Today at Wimbledon’ saw me goggling at players with such names as Ernest School Bus and Tennis Burdick (ambitious parents, then), whilst Andy Murray’s answer to why he likes being a tennis player was apparently that he gets to “play in nice ladies” (‘places’ to you hearing folk – see, boring). Then there’s everyday conversation. My daughter is currently wearing her hair in a style now known in our household as ‘Dutch lesbian’, which was my hearing of Dutch lace braid, and it’s a reflection of how much my defective hearing warps my understanding of the world that this caused me only a brief moment of doubt when she first said it! This is the lighter side of hearing loss but of course it’s also isolating and frustrating. Thank goodness for initiatives such as yourlocalcinema and the charity STAGETEXT, providing captioning and speech-to-text services in cultural venues. But most importantly, successful use of hearing aids potentially offers vast improvements in people’s ability to function well and enjoy life. Is there evidence that certain interventions help? This is what the review set out to establish. 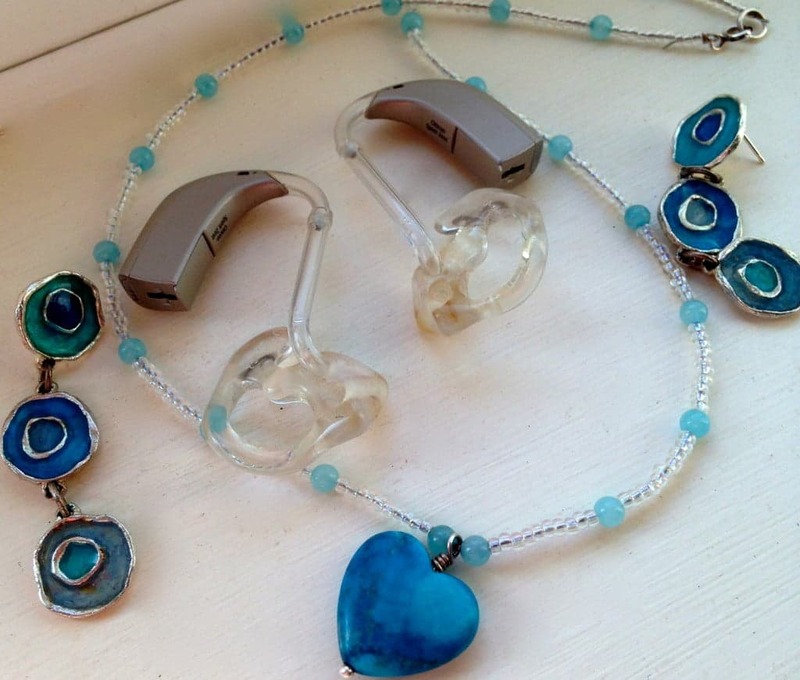 The main outcomes of interest were hours of hearing aid use and ill effects such as inappropriate advice or clinical practice, or patient complaints. The reviewers also hoped to find evidence on the effect of interventions on quality of life, hearing handicap, benefit of aids and communication. They classified interventions to promote hearing aid use according to the ‘chronic care model’. The 32 included studies (involving 2072 people)* tested interventions that fell into either or both of two categories: self-management support – ways to help people manage their hearing loss & aids, such as giving information or opportunities to practice listening/communication, and delivery system design interventions – changing how the service was delivered. The evidence was poor quality and we can’t be confident about the results, which might well change if there are better studies to include when the review is updated. The results might also be different if studies included a different population; most of these participants were over 65 and almost half were military veterans. What’s more, measuring hours of hearing aid use is a start but we need to know other things, like how these interventions affect people’s quality of life and what happens over the long term – only six studies (with fewer than 300 people in total) looked at how people were doing after a year or more. Lots of things that might help people wear the aids, and for longer, have not been tested. Future research has the potential to be a lot more useful if researchers agree a set of outcome measures to use in this type of study. “I have worked on a ‘Hear to Help’ service in Redbridge run by Action on Hearing Loss for over three years. I work as a volunteer in my local area. We offer a support service for people who wear NHS hearing aids. We provide weekly clinics and drop-in sessions and support people to get the most out of their hearing aids by helping them with any problems and checking their hearing aids, tubes and providing batteries. I know from my own personal experience how important it is for people to get the most out of their hearing aids, how much they improve your quality of life, your confidence and help prevent the feelings of social isolation and depression that hearing loss can cause. I feel that the service we provide in the local community is invaluable. Also, in the service where I work we are all hearing aid users ourselves so we can empathise with service users and give good advice and support. We also signpost users to other organisations and support services, which could help them in other ways. I think Richard has hit the nail on the head, talking about helping people have greater control over managing their hearing loss, so important for anyone living with a chronic condition. Something small, like being able to retube your own hearing aid rather than having to get to a clinic so someone else can do it, makes a big difference to our everyday experiences of living with hearing loss. Intuitively, it makes sense to have help from someone who’s got personal experience. I’m sure people leave these encounters with more than just improved knowledge or skills about the thing they went in for. 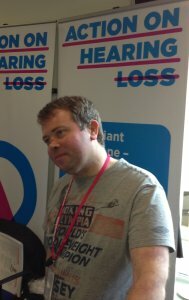 Lack of support after being issued with hearing aids was quickly mentioned when I asked people to tweet their reasons for not wearing them; schemes like Hear to Help are ways of filling that gap. Let’s hope future research can fill the evidence gaps too. “How can I help you hear?” I was asked this, I think for the first time EVER (and I’ve worn aids for over 20 years), within moments of meeting the lovely Anne Cooper (@anniecoops) for the first time yesterday. Possibly after I’d unceremoniously biffed her out of the seat she’d taken on arriving (first), in front of the window, to claim it for myself. I’m so unused to being asked, that we later discovered that I’d forgotten to mention the bit about being able to see my companion’s mouth! How lovely to be asked and what a difference the small things that Anne did to help me hear made to our conversation. I seem to recall hearing clinic posters, from years ago, urging people to ‘be a hearing aid’ and the small considerations really do help, in a big way! Anne also put me in touch with Helen Cherry (@Cherrysouth), who is a deaf nurse with lots of experience and information about accessible technology. 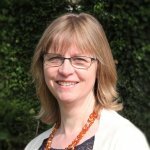 Helen has recommended several deaf bloggers and has sent me some useful links, which I’m looking forward to following up. I really hope this blog will encourage some of you to share your thoughts, experiences and useful links too! In August 2016 the review was updated and now includes 37 studies with over 4000 people. There is new evidence on self-management support but it is of very low quality so its findings are uncertain. Since writing this blog, I have written about my experiences as a patient with hearing loss and what a difference it can make if we are asked ‘how can I help you hear?’. You can read it here. Barker F, Mackenzie E, Elliott L, Jones S, de Lusignan S. Interventions to improve hearing aid use in adult auditory rehabilitation. Cochrane Database of Systematic Reviews 2016, Issue 8. Art. No. : CD010342. DOI: 10.1002/14651858.CD010342.pub3. Well written Sarah, you had me cracking up the whole time. Informative too, I retweeted! Thanks Jeff. I do enjoy the absurdities – an antidote to the frustrations! You are absolutely right, over half of the people who ask to wear aids don’t like to get into them. I believe there are various elements which creates them into this attitude. These include uncomfortable ear mold issues, expense, etc. One of the usual reasons why people don’t wear hearing aids is that they feel humiliated and self conscious about them. But I guess that was not serious at all, these people need to go for their hearing loss and need to stop embarrassing about their hearing aids. This will resolve the issue for certain extend. I would like to to know if Posit Sciences BrainHQ hearing exercises help. They claim they do. Any ideas? That is a pretty good overview on hearing aids. We have an FAQ on hearing loss, which can be found here http://www.nwhc.ie/hearing-loss-questions/faqs The effectiveness in a large crowd depends on the model of hearing aid.